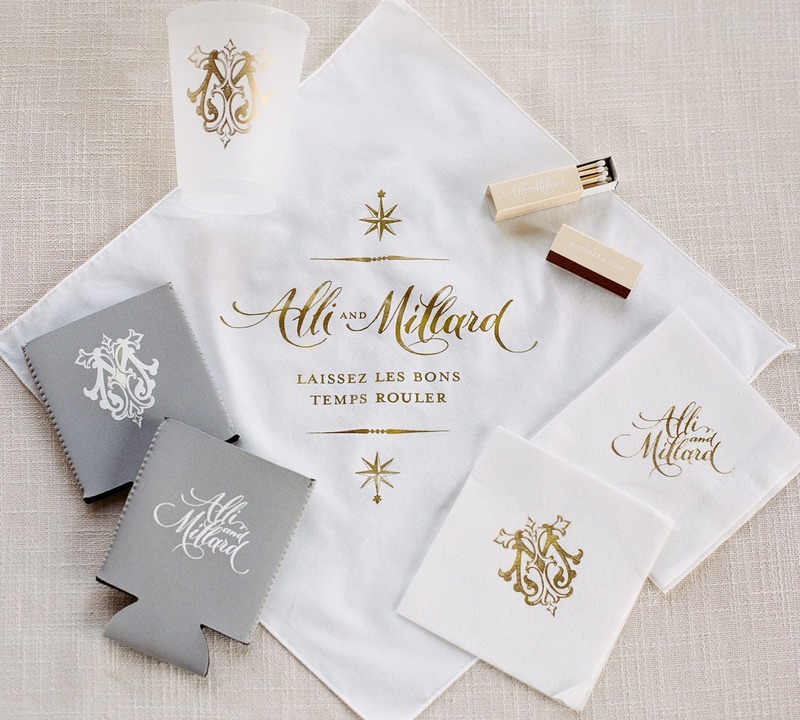 Alli and Millard wanted their wedding trousseau to acknowledge tradition, yet allow them to express a vibrant modernity. The playful swashes of custom calligraphy by Maria Helena Hoksch give the invitation a contemporary feeling, while details typeset in structured serif ground the design. The square shape of this letterpress invitation makes it feel even more unique. 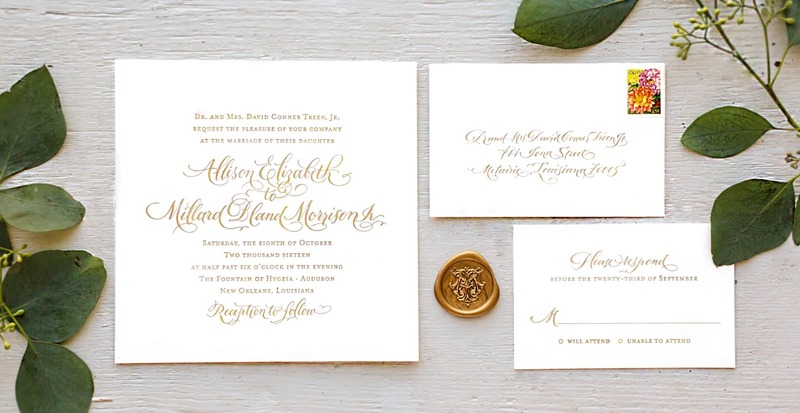 A custom cipher monogram, symbolizing the unity of the couple, finishes the look as a gold wax seal. 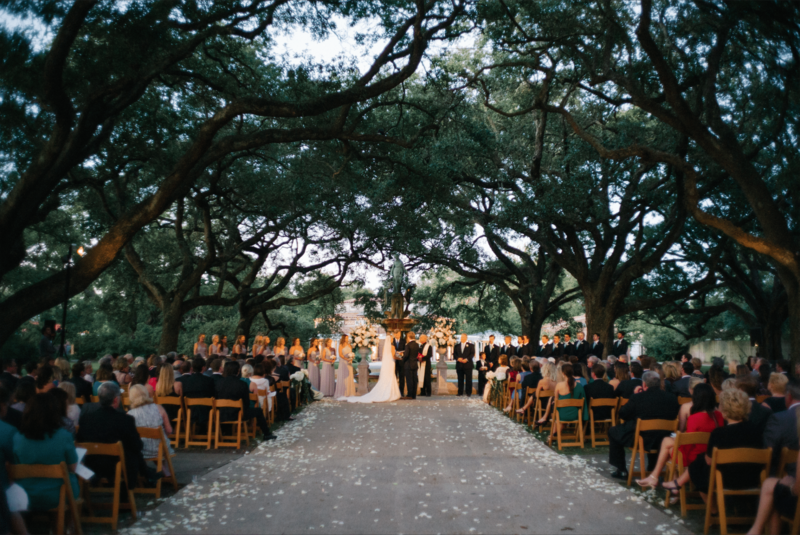 This balance of expression and restraint captures the understated elegance of a ceremony under the oaks. Often, couples take the opportunity to have more fun with the design of their save the dates. Alli’s love for vintage maps is reflected in the couple’s stunning two-color letterpress save the date. A tailored banner overlay on the invitation provides a clean background for information, while the map adds dimension, emphasizing the significance of the location. The fleur de lis compass on the envelope alludes to what’s inside. 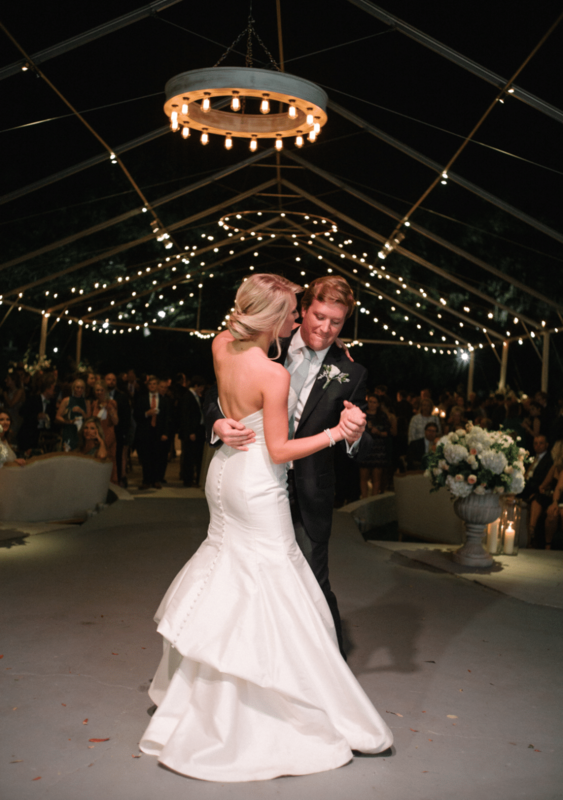 For the wedding program, Alli and Millard knew to think like locals. Even in October, a New Orleans native should always be prepared for an unexpected rise in temperature. To keep the breeze blowing and the ceremony going, the couple opted for a fan program joined at the bottom with ribbon. 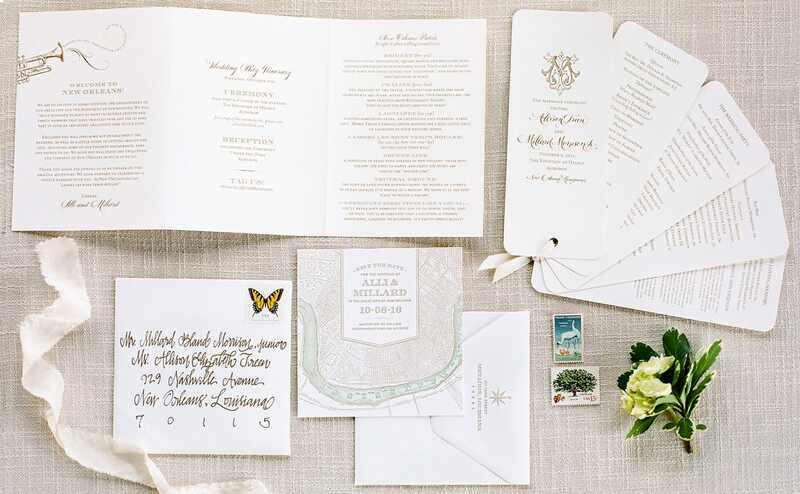 Rounded corners lend softness to the design while a custom cipher monogram intertwining the couple’s initials calls attention to the meaning of the ceremony. 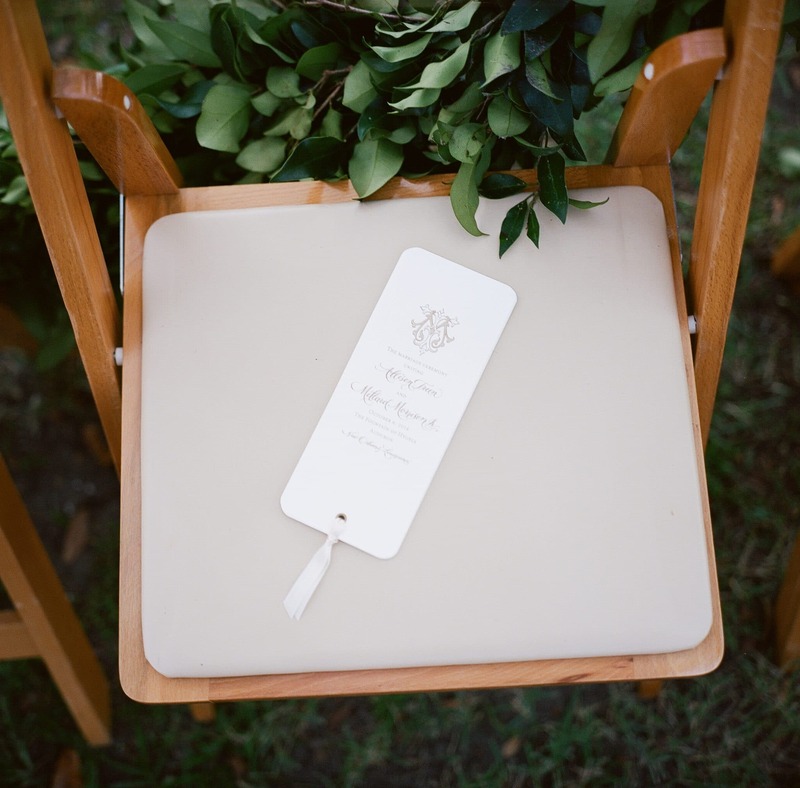 The wedding programs were placed neatly on chairs for when guests arrived to the ceremony. Guests received a New Orleans gift box filled with local treats and helpful information. 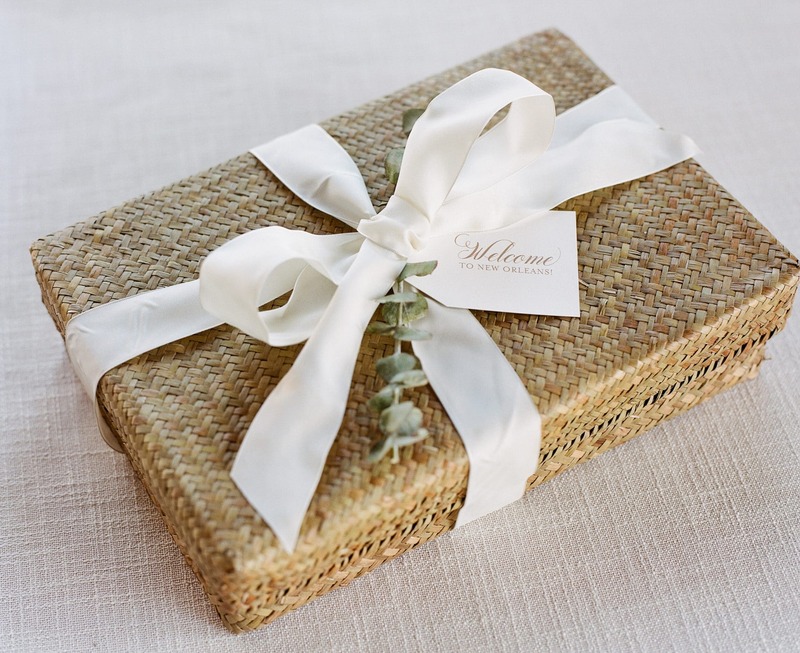 A welcome guide gave the couple an opportunity to thank their guests and share their favorite places around town. 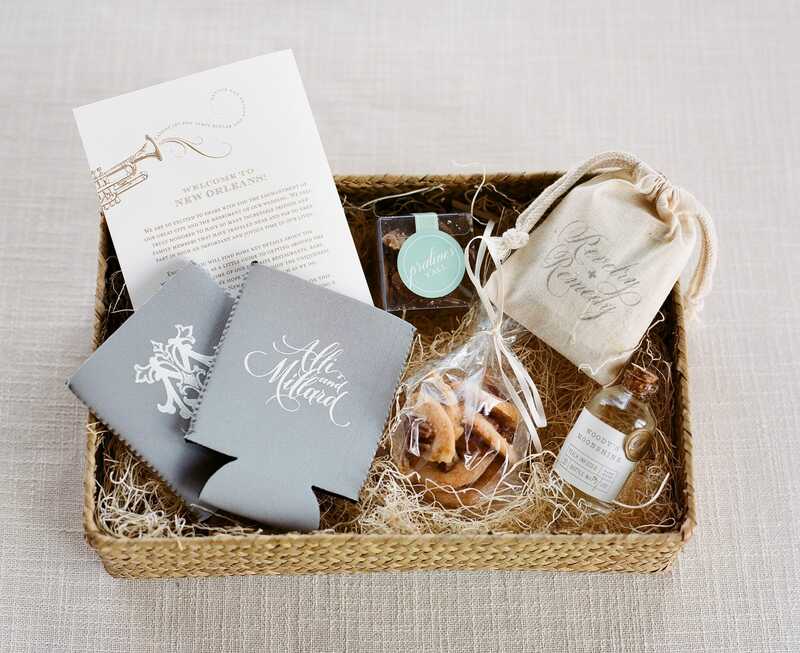 The couple gifted meaningful southern treats, including the bride’s great grandmother’s homemade cheese straws, the groom’s father’s moonshine (complete with custom wax seal), and mini pralines from Restaurant August. Cipher koozies with calligraphy pulled from the invitation, along with a revelry and remedy kit, promised the celebration to come. 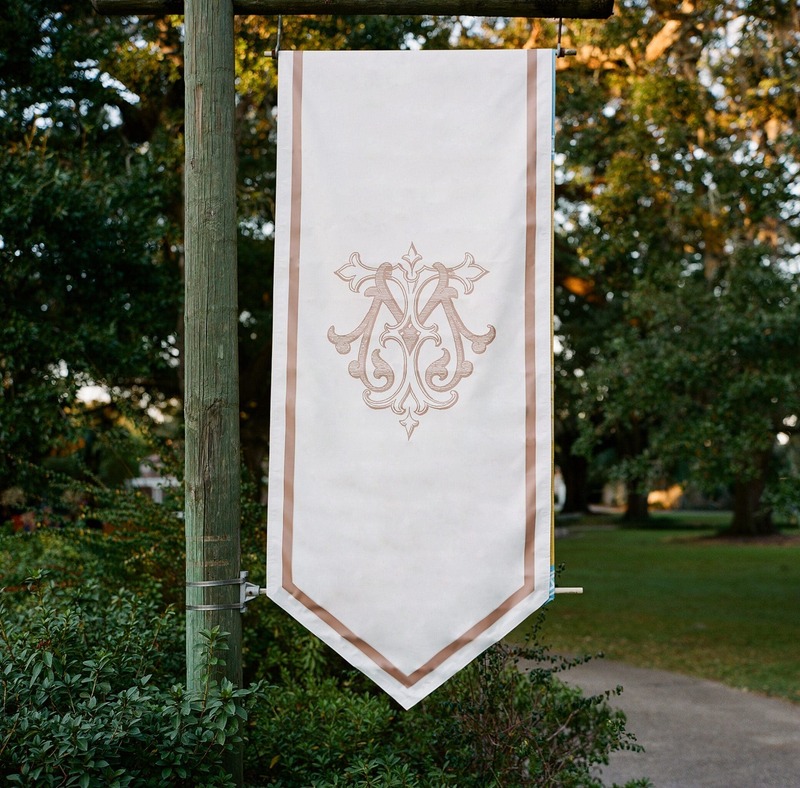 As guests walked through Audubon zoo, banners featuring Alli and Millard’s custom cipher led them to the gallery of oaks. 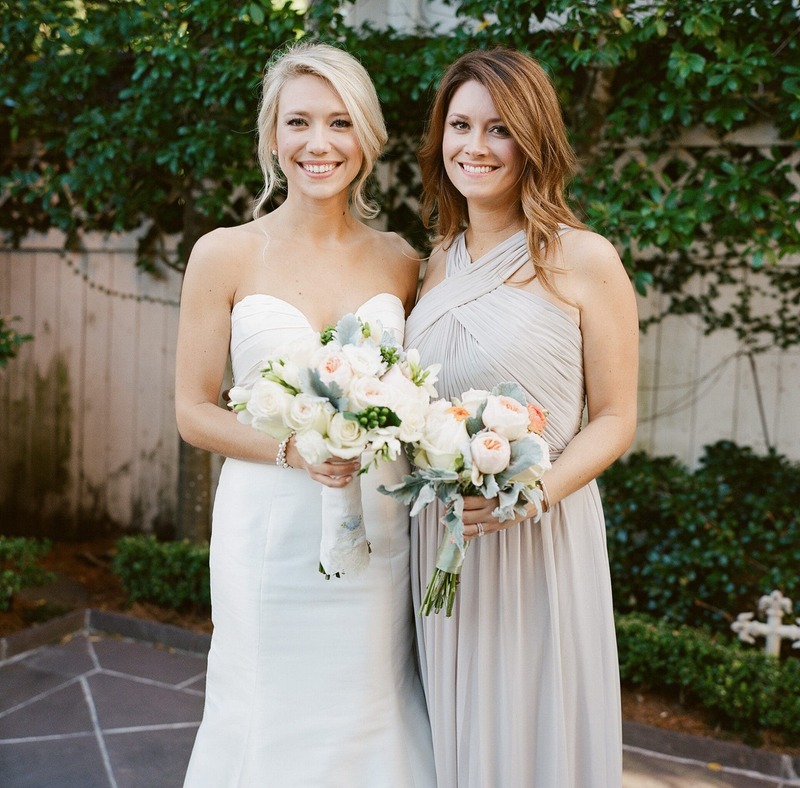 Bride, Alli Treen Morrison, and sister, Rachel Treen Turnage enjoyed working together to tailor the perfect trousseau for Alli’s wedding. Rachel is a graphic designer at Scriptura’s Magazine street store. The bride and her father, David C. Treen Jr., prepare for the ceremony. 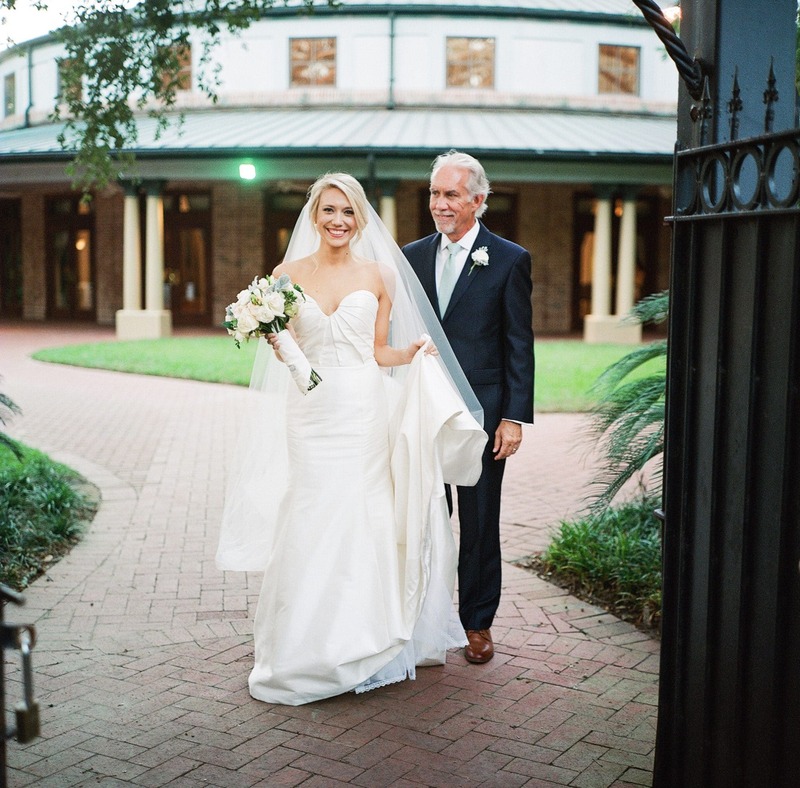 Alli and Millard were married at the Fountain of Hygeia under Audubon zoo’s canopy of majestic live oaks. Their reception was the first to be held completely outdoors in this location. Custom party cups, koozies, and napkins helped the reception to feel all the more festive. The hankies were used in a second line procession at the end of the cocktail hour and served as a memento of the occasion. The happy couple, dancing off into a bright new future.